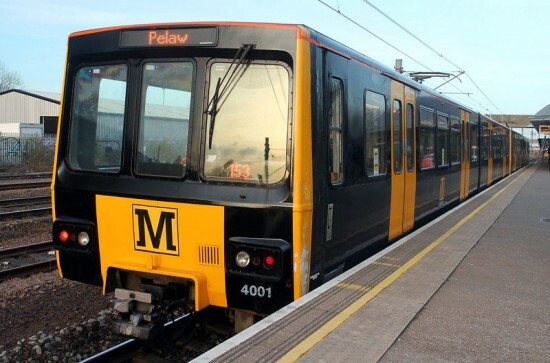 When the Tyne Wear Metro fleet went through refurbishment there were four which it was decided wouldn’t enjoy this work, the prototype pair 4001 and 4002 plus 4040 and 4083. These units can only work with each other and currently with 4040 out of service at South Gosforth Depot this has meant only one pair is seen in service. 4001 and 4083 – the latter of which is in an advert for Emirates – had been paired together for quite some time but recently the two prototypes have been running together on peak time extras as seen in the below photo from Trevor Hall.